The country of Vietnam curls around the countries of Laos and Cambodia like a long comma on the Indochinese Peninsula, snugged up on the east against the South China Sea, and bordered on the north by China. The two most famous cities, Hanoi and Ho Chi Minh City, are located on opposite ends of the comma, with Hanoi in the north and Ho Chi Minh City in the south. Throughout the country, you can experience Vietnam’s many different geographical features—from sea-level river deltas to mountainous highlands—as well as the humid, subtropical climate in the North to the tropical savannah climate in the South. The heat and humidity in Vietnam are high, so bring light clothing, although you should never dress scantily or immodestly. There is plenty of precipitation, so expect to get rained on—especially during the winter monsoon months. For travelers, Vietnam presents a wide array of things to see and do, from exotic architecture and beautiful beaches to quaint villages and modern cities that boast a mixture of old and new. If you are new to Asia or have never traveled to Vietnam before, consider joining a luxury tour or hiring a knowledgeable guide who is familiar with Westerners. Experienced travelers can easily rent a car or buy plane tickets in order to get around on a self-guided tour. Many also choose to backpack through the country, which has many hostels and inns targeting backpacking tourists. The colors, scents, tastes, and sounds of Vietnam are not to be missed. Your dollars (or pounds) can go a long way here, so plan on sampling street food and shopping at the street markets for souvenirs. To get into Vietnam, you will need to be granted a visitor’s visa, for which you will need to fill out a Visa on Arrival Form. 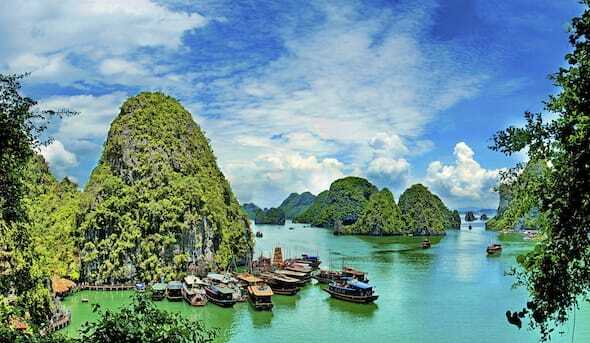 This visa will allow you access into Vietnam through one of the three international airports. We at BDA want to make that simple and easy for you. You can download the forms from our Homepage, as well as find information about what photos and documents you will need, along with help in filling out the forms. Enjoy your trip!